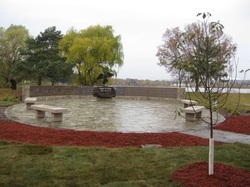 On October 21, 2012, the Children’s Memorial Park , NFP dedicated an Angel of Hope Statue in the park located on the south shore of Silver Lake in Virginia, Minnesota. The angel statue honors the lives of all children gone too soon and represents a place of hope and healing hope and for parents, families, and friends dealing with the tragic loss of a child. 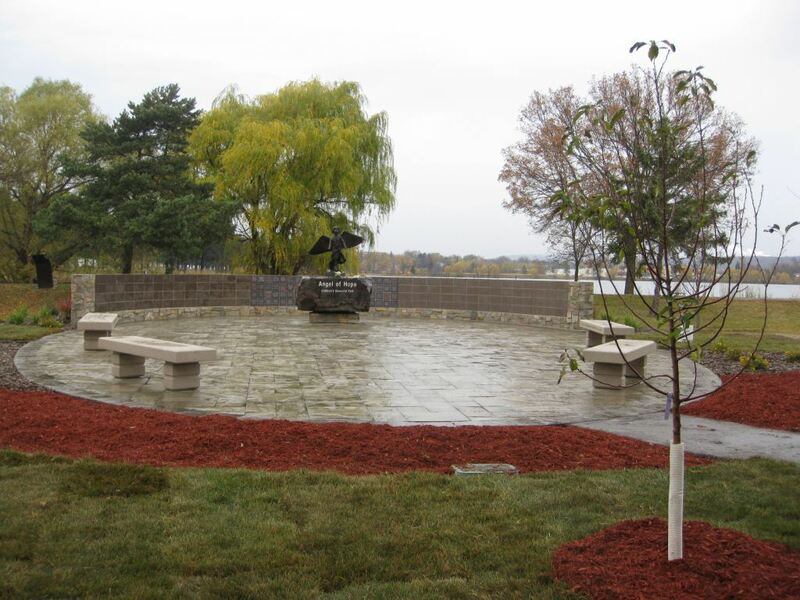 Over 100 area children's names are commemorated on the Memorial Wall located at the Virginia angel statue site. Information on how to add a child's name to the memorial wall can be found under "Giving Opportunities". The angel in Virginia joins over 100 Angel of Hope Statues in other communities across the country (including 6 in Minnesota). The original Angel of Hope Statue is located in Salt Lake City, Utah. The statue was first introduced to the world in the book The Christmas Box, a worldwide best-selling story by author Richard Paul Evans. In the book, a woman mourns the loss of her child at the base of an angel monument. Although the story is mostly fiction, the angel monument described in the book once existed but was later destroyed in a flood. In response to reports that grieving parents were seeking out the angel as a place to remember and heal, author Richard Paul Evans commissioned a new angel statue. Candle light Service 2018 Info. The loss of a child is traumatizing for a parent...no matter what age the child was...no matter how they died. In fact, "traumatizing" is not near a strong enough word to describe the pain and suffering left behind. The death of a child doesn't just affect the parents. Siblings, school friends and other family members and friends are all left feeling a horrible sense of loss. In times of healing, parents often need a quiet place of solace to nurture their sense of loss and to remember the life of their child. Perhaps even to honor their memory. You'd stroll in angel's garden lit by everlasting love"
With the face of a child with arms raised up as a child waiting to be lifted, the Christmas Box Angel provides a place for grieving families to visit.